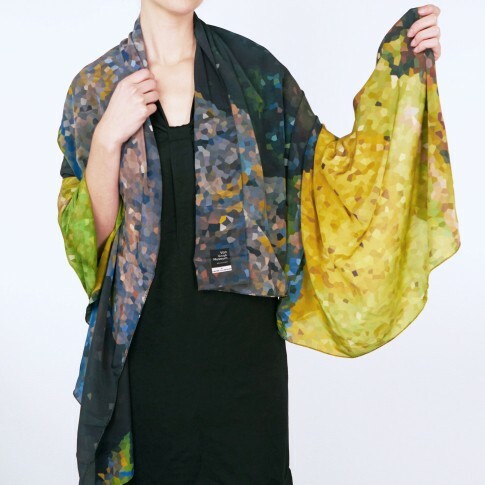 Beautiful silk scarf designed by Hester van Eeghen. The contemporary and colourful print has been inspired by Van Gogh's painting The Sower. Comes in a lovely orange & purple gift box.